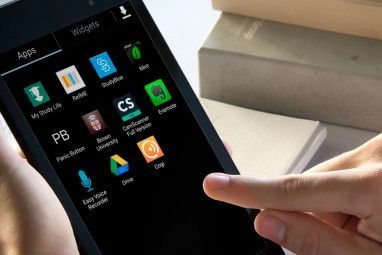 Who Knew An Android Phone Has Screen Space For Floating Sticky Notes? Sticky notes are a fantastic way to remember things and keep track of all the odds and ends we come across in an average day. When I’m on my computer, I usually turn to the excellent Stickies Stickies - The Best Way to Keep Sticky Notes On Your Windows PC Stickies - The Best Way to Keep Sticky Notes On Your Windows PC The other day, I realized something that both shocked and delighted me. 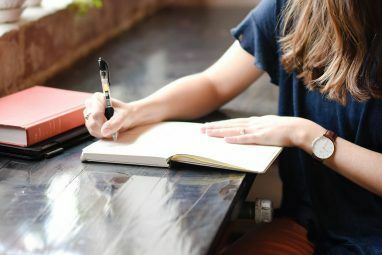 In the entire span of MakeUseOf’s existence, its authors seem to have missed one application which I deem absolutely essential to my day-to-day... Read More , a powerful and free sticky-note application with a lean footprint and excellent hotkey support. It’s not the only game in town, though: We’ve also reviewed Hott Notes Bring Sticky Notes To Your Deskop With Hott Notes [Windows] Bring Sticky Notes To Your Deskop With Hott Notes [Windows] Through the use of sticky notes, I feel like I've been able to just about double my daily productivity. 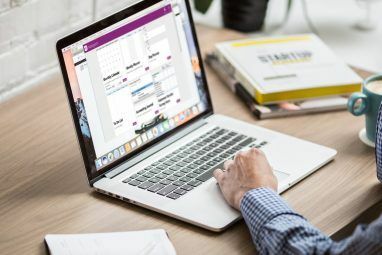 Being able to have physical reminders that nagged for certain tasks to be completed was a... Read More , and in fact, we have a whole tag with lots of other sticky note applications. But here’s the thing: You may often come across a small detail you’d like to remember when you’re out of the house. If you have an Android device, you can always save it into Evernote or OneNote for Android; but personally, sometimes I find these apps an overkill, and end up emailing myself a single line instead. With Floating Stickies, a free app for Android, I may no longer have to do this. The overlay is helpful, but it isn’t perfect: It shows you everything you can do with a note, using a clear symbol for each gesture. Unfortunately, trying to cram all of this information into a single screen creates an overwhelming first-use experience. It would have been better if the developer broke this introduction down to three separate screens you can swipe between, like many other Android apps do (this is known as an “onboarding” tour). Still, if you take a moment to look at the information, the basics are clear: You can drag a note to move it, bump it against the left edge of the screen to minimize it, and pinch it to resize it. By interacting with the note’s title bar, you can create a new note or share the existing note. Just a tiny pencil alongside the left edge of the screen. Hold and drag it out, and the note expands again to its full size. That top note is as small as it can get: Even though it’s just a single line of text, you can’t vertically squeeze it down to less than 3-4 lines. I assume this is to make notes easier to grip, but it does cost quite a bit of screen real estate. I think this is brilliant: I love apps with a narrow, concrete focus, that don’t try to do too much. Which leads me to the only other qualm I have about the interface: When sticky notes are minimized, there is no easy way to tell them apart. You can try to remember them by location (“the top one is where I parked”), but really, it would have been much better if the tiny pencil had the same color tint as the note it represents (a yellow pencil for a yellow note). Simple tap the notification, and Floating Stickies terminates completely, but saves whatever notes were open at the time. Floating Stickies takes a very difficult task and makes it seem easy. Sure, it’s not perfect, but almost no app is. As a way of managing casual tidbits of information, it definitely beats emailing myself, and is also better than Evernote for quick snippets of text I need right now, but don’t want to archive for posterity. Fun, simple, and free. 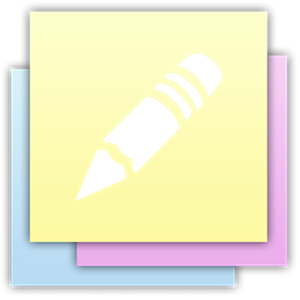 Do you know of a better sticky note app for Android? Let me know below. sorry, I meant Google Docs. I need a good sticky note app that is integrated to Google Drive so that it syncs within Google Notes. Thanks Erez. I know a couple of them but haven't tried extensively so I don't know which one is best. One comparative review would be great. I prefer my sticky notes to stay on the home screen instead of floating all the time because most of the time I won't do anything else on the phone while looking at the notes (containing story tidbits or reminders). The parking feature is nice, though, and it's a compromise between having the information literally one click away and not obscuring your screen. It offers scheduled reminders, and notes can be minimized to the status bar, and much more. I do like floating stickies for its ability to stay put. Glad you liked it, Ignacio! And yes, I've heard some good things about ColorNote myself. I use a similar app that came preinstalled on my phone. Right; I think some of the Galaxy phones come with apps like that. Is your phone a Samsung by any chance?